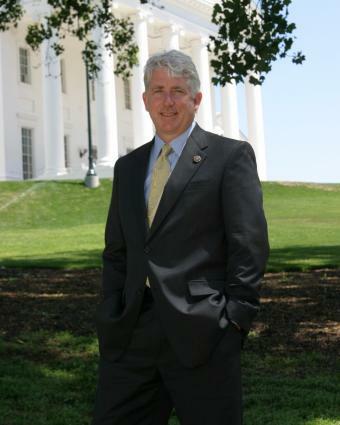 Mark Herring, the Democratic candidate for Attorney General, has released a powerful new web ad The topic is SB962, which Republican AG candidate Mark Obenshain introduced in 2009. In its profile of Obenshain, The Roanoke Times mentions that he is trying to separate himself from his legislative record, something I noticed when the two met in their first debate. I don’t really see how that’s possible, though. If you’re not familiar with Herring – and with the latest round of polls indicating that a whole lot of people aren’t – check out his Roanoke Times profile. Wow. Absolutely disgusting. And disappointing that you would post such lies. Obenshain id NOT “[sponsor a] bill requiring women to register a miscarriage with the police.” That is ALREADY THE LAW, and has been the law for over fifty years. Obenshain was trying to protect the privacy of families like the one in this ad — to keep those records OUT of the permanent official records. Herring is exploiting this family’s ignorance, and counting on the ignorance of the voters of Virginia. Please accept my apologies and retraction of the above statement. Richmond Sunlight has the old F marked out and replaced with a G, but not the old E marked out and replaced with an F. So I thought the F was the new section. The new E is. THAT does have the “Class 1 Misdemeanor”. Again, please accept my humble apologies. E. When a fetal death occurs without medical attendance upon the mother at or after the delivery or abortion, the mother or someone acting on her behalf shall, within 24 hours, report the fetal death, location of the remains, and identity of the mother to the local or state police or sheriff’s department of the city or county where the fetal death occurred. No one shall remove, destroy, or otherwise dispose of any remains without the express authorization of law-enforcement officials or the medical examiner. Any person violating the provisions of this subsection shall be guilty of a Class 1 misdemeanor. For the record – it would be highly unusual for a campaign to lie about something that is as easily checked as this. I think that the Neckel Family would want Warren to know that they are well informed citizens. Criminalizing a miscarriage was about Obenshain’s Bill exploiting a horrible and personal experience for a mother and/or father. If anything, he used his elected public position to further his own extreme agenda. Really, who tried to exploit a situation? I will vote for Mark HERRING for Attorney General because I have to ask myself why an experienced law maker would sponsor this in the first place. To become the number one person responsible for Virginia in legal matters requires someone that thinks through things and someone that is for all Virginians not just some Virginians.